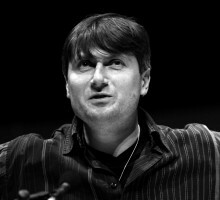 Simon Armitage - Poetry Live! Simon Armitage was born and lives in West Yorkshire. His first collection of poems, Zoom!, was published in 1989, since when there have been a further nine collections, the latest being Tyrannosaurus Rex Versus the Corduroy Kid (Faber & Faber). He has received numerous awards for his poetry including the Sunday Times Young Author of the Year, one of the first Forward Prizes and a Lannan Award. He is the author of four stage plays, and his recent dramatisation of The Odyssey, (Faber & Faber), commissioned by the BBC, received the Gold Award at the 2005 Spoken Word Awards. As well as radio, Simon Armitage has written for over a dozen television films, and with director Brian Hill pioneered the docu-musical format which lead to such cult films as Drinking for England and Song Birds. He received an Ivor Novello Award for his song-lyrics in the Channel 4 film Feltham Sings, which also won a BAFTA. He wrote the libretto for the opera The Assassin Tree, composed by Stuart McRae, which premiered at the Edinburgh International Festival in 2006. In 2009 he wrote and presented Upgrade Me, a BBC Four documentary exploring people’s obsession with buying the latest technological gadgetry. His prose works, all published by Penguin, include the novels Little Green Man and The White Stuff and the best-selling memoir All Points North, which was the Yorkshire Post Book of the Year. He has taught at the University of Leeds and the University of Iowa’s Writers’ Workshop, and is currently a senior lecturer at Manchester Metropolitan University. His translation of the middle English classic poem Sir Gawain and the Green Knight was commissioned by Faber & Faber in the UK and Norton in the US, and was reprinted five times in the months following its publication. He has served as a judge for the Forward Prize, the T.S Eliot Prize, the Whitbread Prize, the Griffin Prize, and in 2006 as a judge for the Man Booker Prize. Simon is also the singer/songwriter with the band The Scaremongers, which (among many other things) he writes about in his memoir Gig: The Life and Times of a Rock-star Fantasist. Recent collections of poetry have included Out of the Blue (Enitharmon Press), The Not Dead (Pomona Books) and, in 2010, Seeing Stars (Faber and Faber). His latest book, The Death of King Arthur, has been shortlisted for the 2012 TS Eliot Prize. He is an Artist in Residence at London’s Southbank Centre and was responsible for 2012’s Poetry Parnassus, a huge Cultural Olympiad event that brought together poets from each of the 204 Olympic nations. In 2010 he was made a CBE.